"When I got my computer running Windows 8 I was so excited that I could finally have a fresh taste of the long-awaited Windows 8. As I have all my important data in the Surface now I set a login password, thinking that it is pretty safe now. However, this password also stops me from logging in because I forgot Window 8 password somehow! I tried my password hints, a free software tool, which all failed. I really need to regain access to my computer and I can't do my work without knowing the data stored in it. What can I do now? 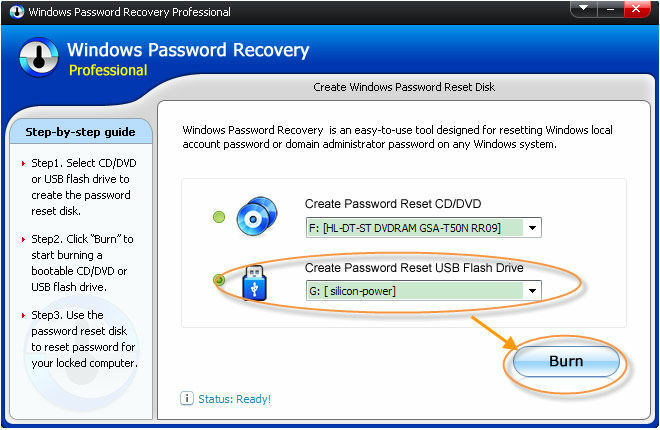 Is there a quick way to recover Windows 8 password?" In this case Richard will have to seek some professional help from Windows 8 Password recovery tool because Windows says password is wrong in Windows 8. As far as I am concerned, the best choice is Windows Password Recovery, a tool designed to remove Windows 8 password without reinstalling. In addition, the tool also has superb performance in cracking Windows passwords for Windows 7, Vista, XP, 2008, 2003, 2000, NT, etc. Let's get started and see how Windows 8 Password Recovery manages to quickly find and reset a forgotten parental password in Windows 8 for us. To finish Step 1, you need a computer which you could have free access to and then download and install Windows 8 Password Recovery to this computer. The installation process is quick, which only takes about 2 minutes. You are allowed to use either a CD/DVD or USB drive to do this step; here we choose a USB flash drive for an example. Before we start to hack Windows 8 password, it is necessary to change BIOS boot sequence to make it boot from USB. First start the locked Windows 8 Computer, press "Del" or "F2" button while the computer is initializing. The initial startup screen may be similar as the image below. 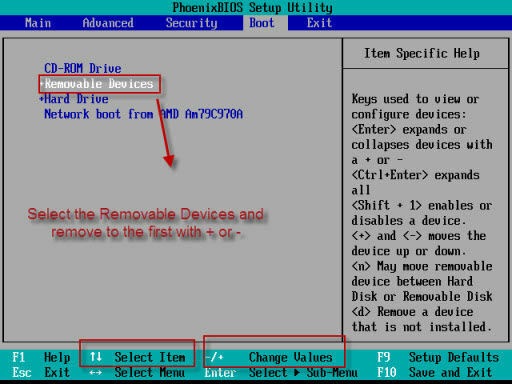 Go to the boot menu and change bios setting to make it boot from USB firstly. When you finish BIOS change, press F10 to save your changes, and then restart this computer. A. 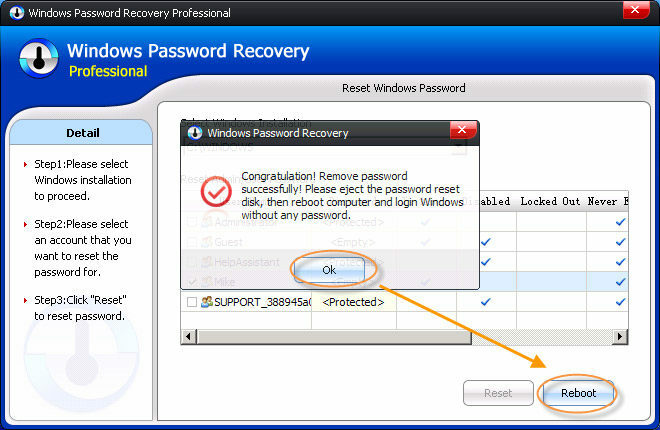 When the computer starts you will see the interface of Windows 8 Password Recovery. Choose the target Windows OS you want to reset password for, click "Next" to continue. B. All the user names will be displayed, select the user accounts whose password you want to reset and click "Next" to reset the password. C. "Congratulation" message is displayed after the user's password has been successfully reset. Click "Reboot" to restart computer. D. In the pop-up window click "Restart now" to restart the computer. Now you have managed to successfully recover Windows 8 password to a blank one and you are able to log into your computer without a password.